Today’s Must-Read Debut YA Author is. . . The about-to-become-very-famous Roshani Chokshi (“Rosh” to her friends). She’s talented, gorgeous (half-Indian and half-Filipina! ), and one of the nicest people in the world. The Star-Touched Queen is set for release in April 2016. In case you can’t wait to start reading, St. Martin’s Press plans to release a teaser of the first several chapters in March! Indian mythology, gorgeous writing style, wildly imaginative world-building (trees that bear memories instead of fruit!? ), and a cover so beautiful it feels like stepping into a dream. Eve: Roshani, YA fans are already talking about your gorgeous Pinterest page. Where did you find such beautiful pictures to represent The Star-Touched Queen? Eve: What made you fall in love with your novel? RC: I love this question! I fell in love with it because of its ease. It’s not a new story. It’s threaded with a thousand and one familiar tales, from fairytales to folklore all across the world. But what made me so excited about writing it was tweaking little things and pushing the worldbuilding farther. Eve: Are you planning a book tour? If so, what is a question you hope someone asks? RC: Not sure yet! I know we’re doing a blog tour, and I’m very excited for that. I hope someone asks me what my job would be in the wizarding (and witches!) world of Harry Potter. Eve: Now I have to ask. . . What would your job be in the wizarding world of Harry Potter? Eve: The publishing industry is a notoriously slow-moving machine. From writing to publication, how long was the “birthing” process of your book? What have some of the highlights been? RC: From writing to sale…about two years. The highlights have been working with my agent and editor who have been incredible champions throughout all my doubts, rewrites and crazy revision ideas. Eve: Many YA writers also seem to be music lovers. Did you create a playlist for your novel and, if so, what are some of the songs on it? Eve: Your eclectic song choices make me want to read the book even more! Speaking of music, YA authors Libba Bray, Natalie Standiford, Barnabas Miller, and Daniel Ehrenhaft have been known to perform at publishing industry events with their band, Tiger Beat. If you were in an authors band, what instrument would you play? RC: Glass harmonica. It’s just so strange. I must possess it. Eve: I LOVE the glass harmonica. Great pick. . . What are some books you recently read that you loved? RC: UPROOTED by Naomi Novik recently ate my soul (in the best way possible) and I also loved RADIANCE by Catherynne Valente. Eve: Having an online presence is a big deal for writers. How do you balance writing and social media? RC: I think putting my phone on Do Not Disturb has been the most helpful. Maybe it’s just me, but I can get anxious on social media. So, if I’m not careful, it can take up way more hours of my day than it should. Eve: In the early days of crafting your novel, were you shy about sharing what you’d written with others? RC: Very much!!! But that’s part of the beauty of writing. We want it to be read, seen and felt. So taking that first step with beta readers and critique partners is a wonderful and terrifying moment. Eve: Do you have a critique group and, if so, how did you find them? RC: Yes. I found them on sites like Ladies Who Critique or Twitter! Eve: Your novel has such an evocative title. Who came up with the title, The Star-Touched Queen? Was this the same title you used when querying agents? RC: When I queried agents, I used the title “THE GLASS GARDEN.” After signing with my agent, we sold the book when it was titled THE BRIDE OF DUSK AND GLASS. AFTER selling, we changed it to THE STAR-TOUCHED QUEEN thanks to the geniuses over at MacMillan. Eve: What’s your typical writing schedule? Do you reward yourself for meeting writing goals? Eve: Many writers have dark moments while working on their novels, times when they’re not sure they’ll ever finish. If you encountered hurdles like this, how did you overcome them? RC: When I get this way (and it does happen), I read my favorite books. I return to the worlds of Neil Gaiman, Laini Taylor and Catherynne Valente. I let them guide me back to why I love writing. RC: No, actually! And I WISH I DID! When I finished TSTQ, there was a great surge of “wow. I did the thing!” But that was what I was celebrating. Not the idea that I could actually find it on bookshelves one day. Eve: Lately, YA book lovers seem to be saying there is an overemphasis on romance in YA fiction. What are your thoughts on this? RC: I love reading romance in YA. But I don’t think it’s critical to a plot. There are some books, like SIX OF CROWS by Leigh Bardugo, which deftly handle characterization and takes the focus away from the characters’ romantic entanglements. Other beautiful books, like ALL OUR PRETTY SONGS by Sarah McCarry, have romance but focus on the friendship and the experience of growing. I have no problem with romance, but I personally prefer books where romance is not the ONLY motivation for the character. Eve: Who are some of your favorite fictional characters and why? RC: Howl, from HOWL’S MOVING CASTLE because he was vain and wonderful and my first serious book boyfriend. Kaye, from Holly Black’s TITHE because she was fierce and gritty. Razgut, from Laini Taylor’s DAUGHTER OF SMOKE AND BONE trilogy because he was pitiful and deranged and wildly funny. Eve: What’s something you really hope people say after they read your novel? RC: I hope they forget they were reading. I hope they think they’ve tasted fairy fruit and fallen in love and spent time wandering through Otherworldly palaces. Eve: Best of luck to you, Roshani. Ever since I read your short story, The Star Maiden, in Shimmer magazine, I knew you’d be a great success. Thank you for all your fantastic answers to my questions. RC: Thank you for giving me the opportunity to talk about writing. I deeply appreciate it. Eve: Where can your fans reach you? Inspiration: Which Artist Do You Wish You Could Write Like? Talk about truth and singing from the heart, watch what happens starting at 1:33 when Janelle Monae sings, “I was made to believe there’s something wrong with me.” She released this video as-is. Why? Because it’s deeply honest. Which artist would you like to write fiction like? Author Eve MessengerPosted on January 26, 2016 January 27, 2016 Categories art, artist, books, creativity, inspiration, music, writing, writing craftTags art, books, creativity, fiction, inspiration, janelle monae, music, writing17 Comments on Inspiration: Which Artist Do You Wish You Could Write Like? Today I’m feeling especially aware of the BIG CRUSH I have on novels, and November is turning out to be a particularly good month–every read is like striking gold. For this, I am grateful to book bloggers and their excellent recommendations. This book. 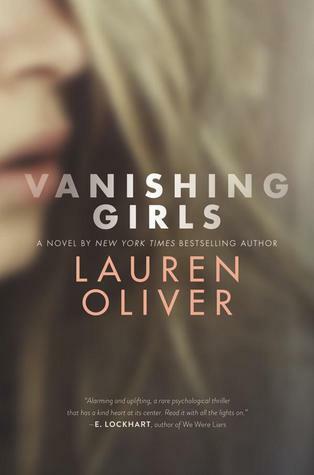 The first few chapters of Vanishing Girls did not at all prepare me for what was to come. Oh, me of little faith. This is Lauren Oliver, remember, Eve? Your possibly-new-favorite author. When researching literary agents and the kinds of YA manuscripts they’re looking for (in preparation for the day when one of my novels is FINALLY ready to query), I often read that agents are looking for “voice-y” novels. 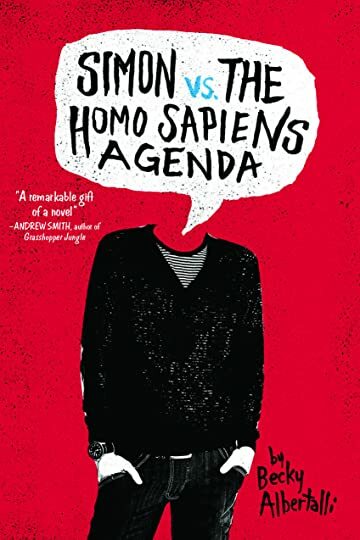 “Voice-y,” I get it, but then along comes Simon vs. the Homo Sapiens Agenda, and now I really get it. Simon has SUCH a voice. He is REAL. With his wry wit and honesty about himself, Simon is so relatable. I’m only 55 pages in, but so far this story has a compelling premise. Simon is gay and has yet to come out of the closet, but he shares his secrets in email communications with a boy who goes by the alias Blue. Blue attends Simon’s same high school, but they’ve never revealed their true identities to one another, so with every male high school student that’s introduced, you (and Simon) wonder if he might be Blue. I also can’t help but wonder if maybe Blue isn’t really who he claims to be, and I love Simon so much already that I’m afraid he’s going to be disappointed. At last, my first Patrick Ness novel! Many successful people actively visualize their life’s ambitions. Over and over, they imagine a specific moment that captures the essence of what they’d like to accomplish. Before he made it big as an actor/comedian, Jim Carey used to drive to the top of Mulholland Drive, look out on the sparkling lights of Hollywood, and visualize himself receiving a million-dollar check for his acting work. Professional quarterback Drew Brees, before winning his first Superbowl, saw himself walking out onto the playing field. What is your “moment?” Here’s mine. 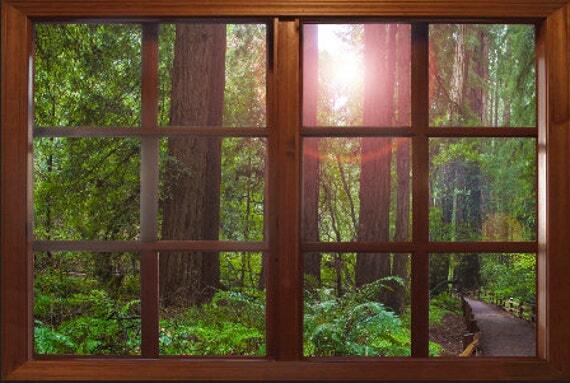 Invigorated by a long walk and at peace with how well my family is doing, I sit in my lovely office with forest light cascading through the window. Copies of my published novels rest on a shelf. My literary agent emails to say my latest book has gone to auction and that another has been optioned for a movie. My imagination swirls with scenes, dialogue, and characters’ intentions for the new novel I’m writing. Then I write, and the words flow beautifully. 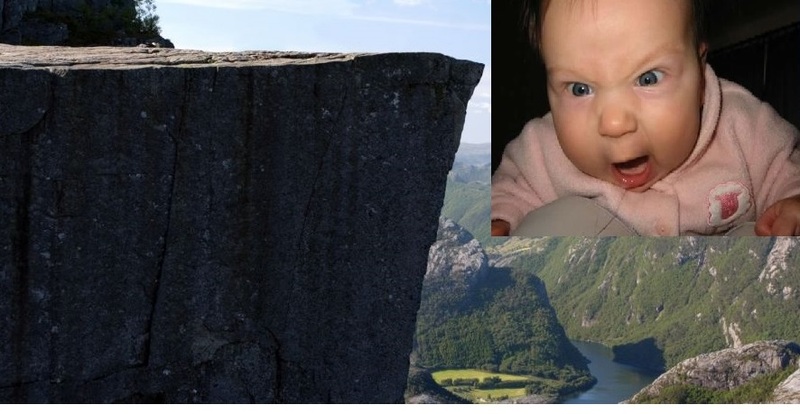 I hate cliffhangers. There, I said it. I don’t mean cliffhangers in the middle of a story, of course — those are great. I mean a cliffhanger ending to a novel — it’s a cheat, a crutch, a convenient device. Inherent in every novel there’s a silent contract between writer and reader, included in which is a proper ending! What should drive readers to want to read the next book is compelling characters and great writing, not — I repeat — a cliffhanger ending.